It has been a crazy Spring so far in the construction world. We’ve had huge late season snowfalls and long days of rain. Its great for the state of Colorado to be getting all this precipitation but unfortunately it can slow progress. Despite any little setbacks with the weather, our team has pressed on and we are putting the finishing touches on our 750 S. York Wash Park Pop-Top project! If you can remember from our earlier posts, this Wash Park home was too small for the current owners but they did not want to move. 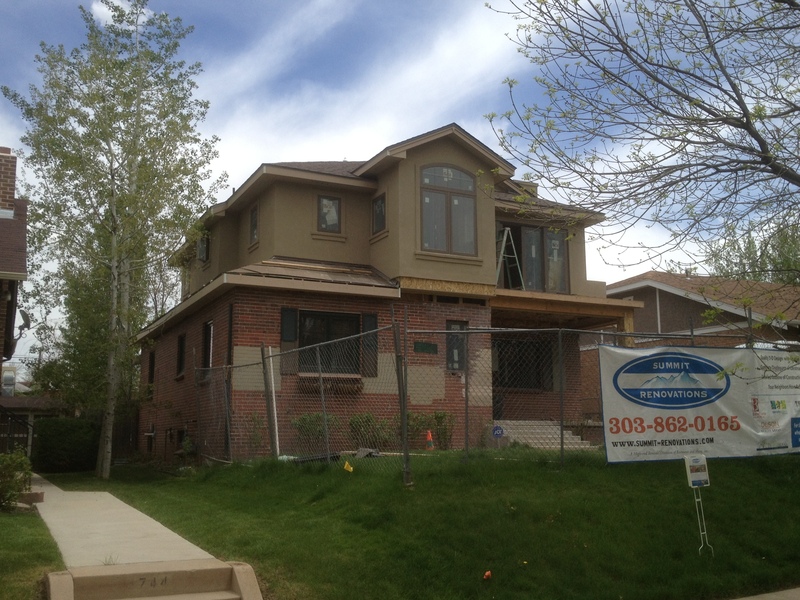 The perfect solution for this family was to pop the top and nearly double their square footage without completely tearing down their home and incurring the costs of a complete rebuild. 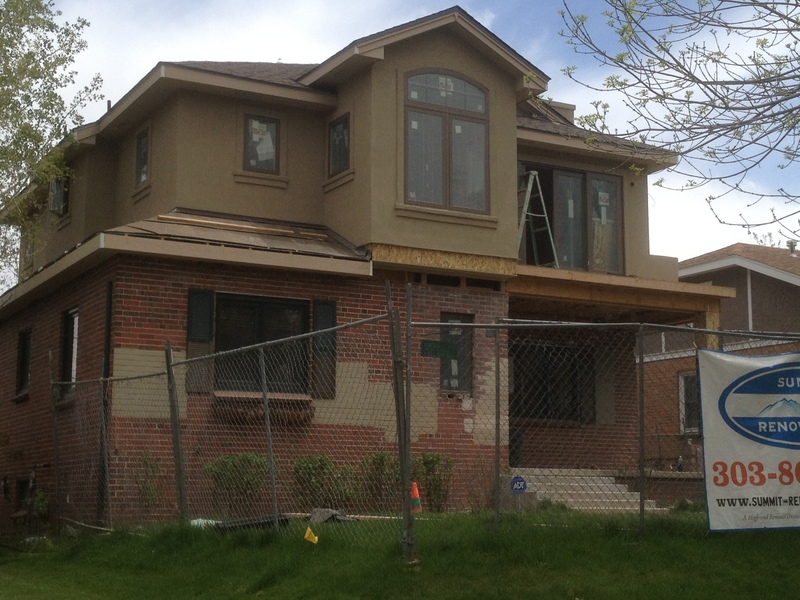 The exterior work is coming along nicely. As you can see we worked hard to preserve the integrity of the original style of the home (and the Wash Park neighborhood) while also giving it a modern day facelift. 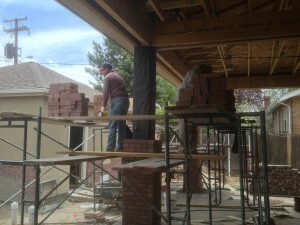 Our skilled carpentry team is doing some fine work on the back patio area including the brick pillars we have added to the structure and design. 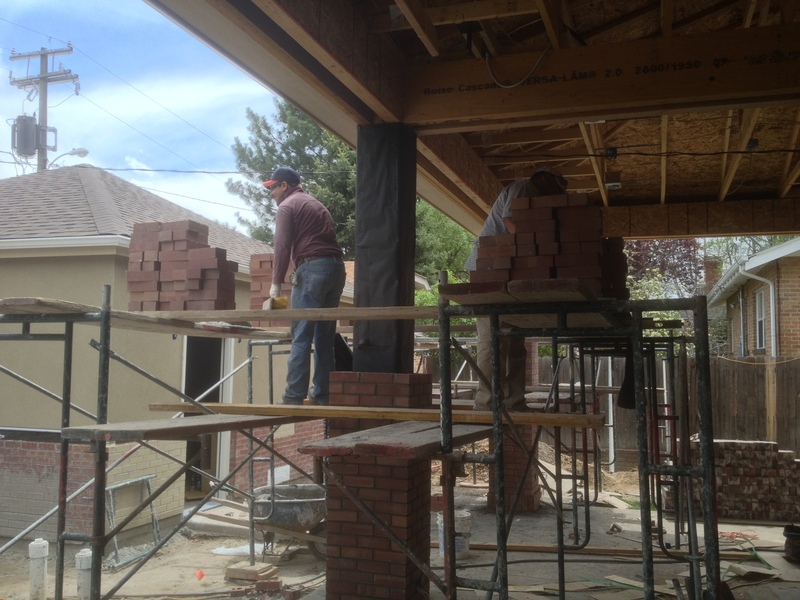 It should only be a few more weeks until the homeowners will have a newly renovated Denver home with considerably more interior space than they had before. This Wash Park pop-top is the perfect example of improving an existing structure rather than wastefully destroying a piece of history and a perfectly good home in order to build a monstrosity. The Wash Park style home is much loved by those who live there. Although families need more space in today’s world, this pop-top renovation is proof there can be a healthy balance between current needs and old-world style. ← Don’t Just Renovate, Add Value to Your Home.